With renowned academicians from across the country, MTutor’s Advisory Board adds that zing into learning. Know the team that helps formulate strategies on matters related to learning and education. Dr. Krishnamoorthy, is a Ph.D. Civil and Environmental Engineering scholar from San Diego State University. He completed his under-graduation from Chennai and his M.S and Ph.D. degrees from the Illinois Institute of Technology in Chicago. Dr. Krishnamoorthy has also worked closely with Dr. Abdul Kalam on various projects. He was instrumental in setting up the Solid Waste Management (SWM) Institute in India. He is keen in establishing a sustainability center in major universities of Tamil Nadu on Environmental degradation to save our Blue Planet. Dr. Shreesh Chaudhary is a Ph.D scholar in the English language. He is a professor at IIT Madras since the year 1973. Dr. Shreesh has done his research on learning the use and structure of the English language in the country. He is also a fellow at the English and Foreign Languages University in Hyderabad, a Hornby Scholar at the Institute for English Language in Lancaster, a Charles Wallace Trust Scholar at the British Library in London and also a fellow at the Indian Institute of Advanced Study in Shimla. 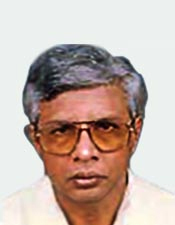 Dr. S. Srinivasan is a Ph. D scholar in Electrical Engineering at IIT Madras. He started his teaching career at IIT Madras in the 1970's and later went on to expand his teaching in universities like San Jose State University (Sabbatical), California State University and the University of California in Davis. Dr. Srinivasan teaches subjects including Digital Circuits and Systems, Computer Architecture and VLSI Design. His research projects include 'Architectures and Applications of Digital Signal Processors, Image Processing and Video Compression and FPGA Based Implementation' among others. Dr. Mrinal Kanti Ghosh is a Ph.D. scholar in Applied Mathematics and has a TIFR- IISc programme in Application of Mathematics. 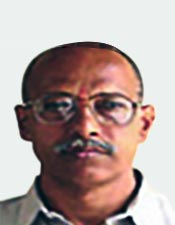 He started his teaching career in the year 1979 as a postgraduate professor at the Indian Institute of Science, Bangalore. 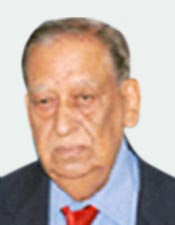 Dr. M.K.Ghosh was a convener and an active member in various organisational activities and conferences. A visiting professor at various universities and colleges across the globe, he taught at esteemed institutes across the USA, Hong Kong, Mexico and France. He was also an editor of academic journals for the American Control Conference at the Indian Institute of Science, in Bangalore. 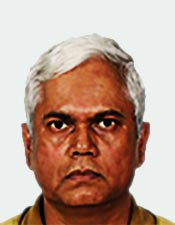 Dr. Srinivasan is a Ph. D. Physics scholar at IIT Madras. 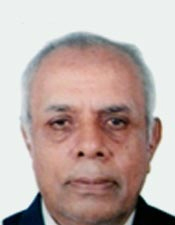 He is a German language Diploma holder (Grundstufe and Mittelstufe), with 37 seven years of experience in teaching at various levels at the Indian Institute of Madras. 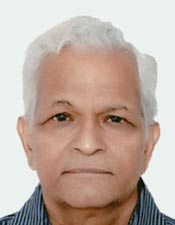 He is an expert member in Physics for the Review and Grants Aid Committee of the University Grants Commission,for the "9th Five Year Plan" at the University of Bombay and the University of South Gujarat and he was an active member for vocational education programme to the Union Ministry of Labour. Dr. Suresh Chandra Rastogi, is a Ph.D. scholar in Differential Geometry, he teaches in the University of Lucknow, India. Being a member of several academic associations such as the Tensor Society Japan & India (Editor - in - Chief), the American Mathematical Society and the Bharat Ganita Parishad among others. He spent 15 years in Nigeria, where he became the youngest Professor of Mathematics at the University of Nigeria, Nsukka in 1979. He has widely been known in the publishing world with nearly 125 published research publications in International Journals across 15 countries. 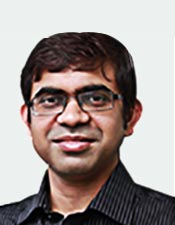 Dr. Manish Singh is a Ph.D. Computer Science and Engineering graduate from the University of Michigan, Ann Arbor. He worked as a research assistant and graduate researcher in IIT Delhi, and his research interest and publications are more than 7. He started teaching from 2009, for IIT’s and other Universities; he was a Graduate Student Instructor, at University of Michigan, Ann Arbor. He mentors students for MS Thesis, and his honors are ‘All India Rank holder of 347 out of 175,000 students’ in the Joint Entrance Examination, IIT. 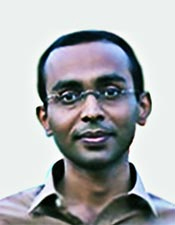 Dr. Ashis K Patra is a Ph.D. Chemistry scholar from IISc, Bangalore. He is currently an Assistant Professor at IIT Kanpur. His primary research interest includes: Nanomedicine, Medicinal Chemistry, Chemical Biology, Bioorganic Chemistry, Bioconjugate Chemistry, Bioinorganic Chemistry and Biomimetic Chemistry of Metalloenzymes.After his Ph.D., he worked as postdoctoral research assistant (2008-2010) at ‘The University of Georgia’, Athens, GA, USA on metalloenzymes and Metal-nitrosyl chemistry. Later he joined the Department of Medicine at Harvard Medical School, Boston, USA as postdoctoral research fellow. 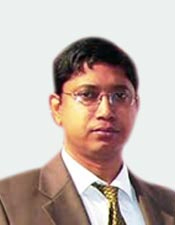 Dr. Kamal Kar Ph.D. Mechanical, IIT Kanpur is a professor at IIT Kanpur, he was also a guest professor at Pandit Dwarka Prasad Mishra Indian Institute of Information Technology, Design & Manufacturing Jabalpur, (IIIT, Jabalpur), 2009.He played a vital role as instructor, lab instructor and tutor in various ME, MS, ESO mechanical subjects. His publications are "Journal Papers: 132, Books: 05, Book Chapters: 33, Conference Papers: 97 and Patents: 46", under his leadership various sponsored projects have been completed and he has supervised M.Tech and PHD students for thesis. Dr. Radha Tamal Goswami has received his Phd in Technology from Birla Institute of Technology Mesra Ranchi India. He has 23 years of experience in the field of academics, research and administration. He was also the Director of BIT Mesra Kolkata Campus since 1995. 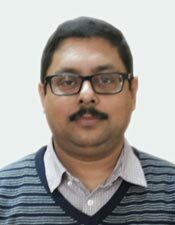 He joined Techno International NewTown Kolkata as a Director in September 1 2016. He is also the BOG member of Sister Nivedita University Kolkata. He is also the professor in the Department of Computer Science and Engineering. He has conducted almost 30 MDP and FDP program. He has guided more than 100 students in UG and PG projects. He is the visiting faculty of 10 Institutions and member of ACM, IEEE,CSI and NIPM. Published almost 50 research papers of repute. He chaired many National and International conferences.